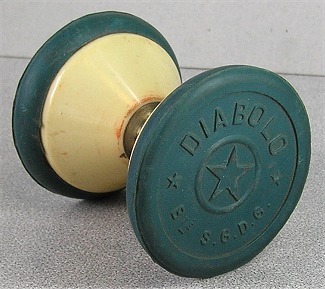 In response to the Diabolo craze in the early 1900s, Parker Brothers released this boxed diabolo in 1907. Plastic white shells were covered on each end with a rubber logo cap. The halves also have holes to create a whistle or hum when spinning.